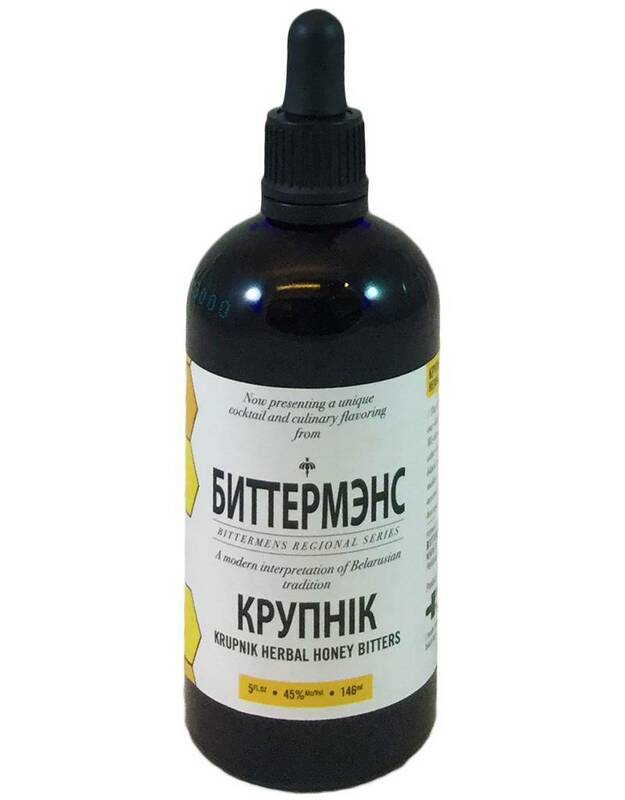 Krupnik is a Belarussian drink made from vodka, honey, juniper, pine, black tea, and a couple other botanicals. This cocktail bitter is a tribute to it that calls on every ingredient above (except the vodka--add that yourself!). Great in hot toddies or even just hot tea, or add a dash to drinks made with Barr Hill gin.